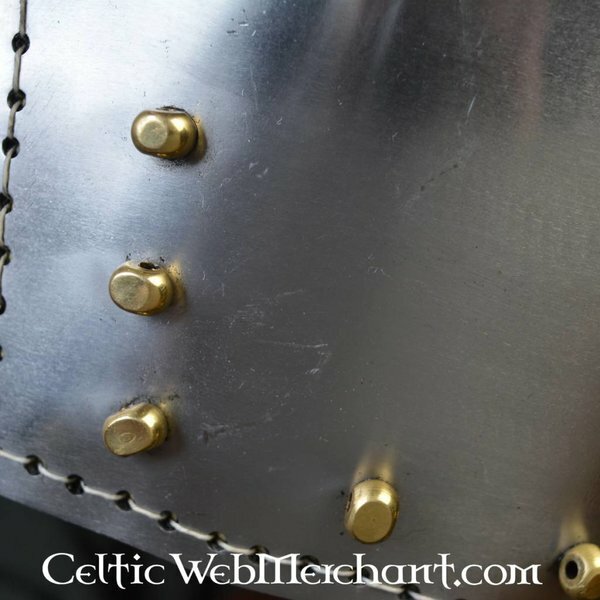 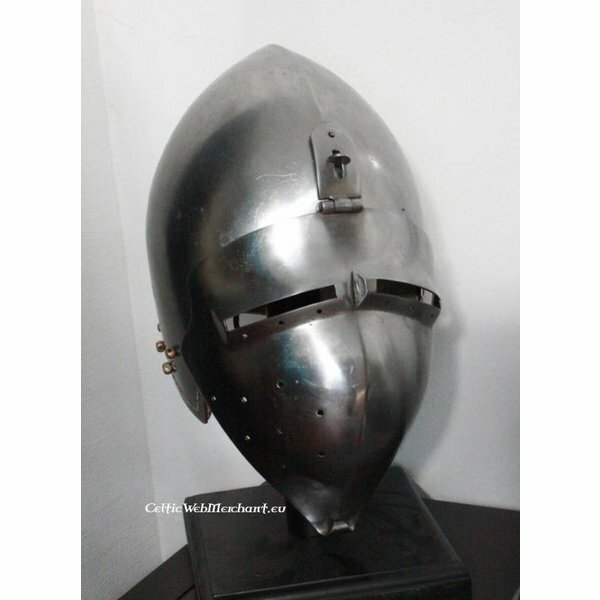 This is a complete battle-ready replica of a German flat bascinet made of 2 mm thick steel. 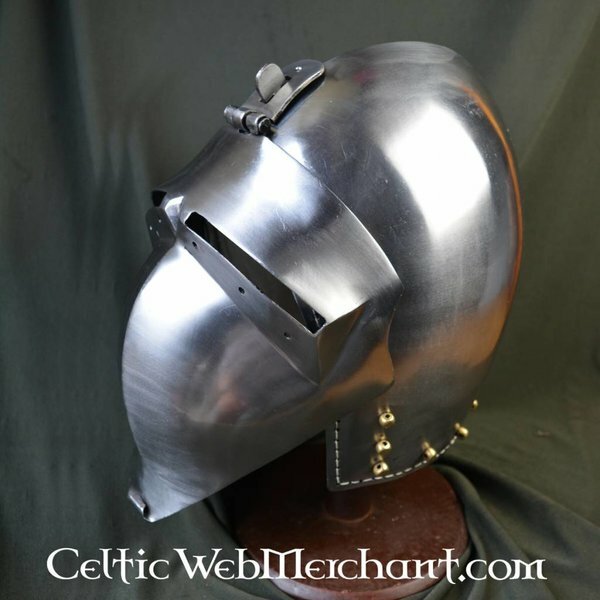 It is made of two parts that are welded together. 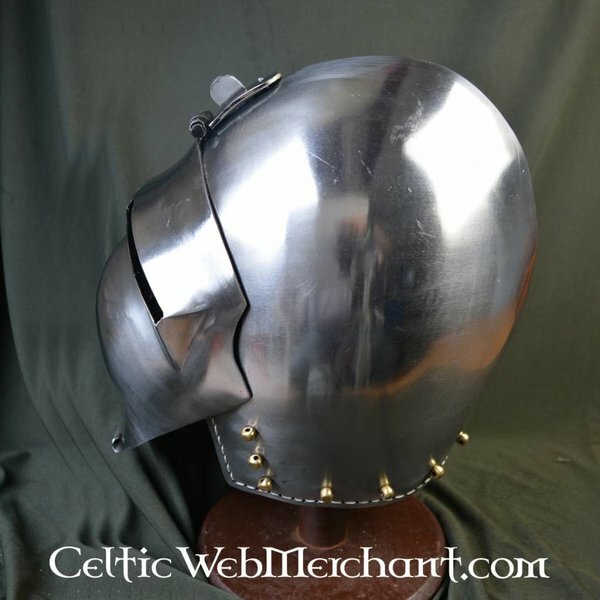 The visor is detachable and made from one piece. 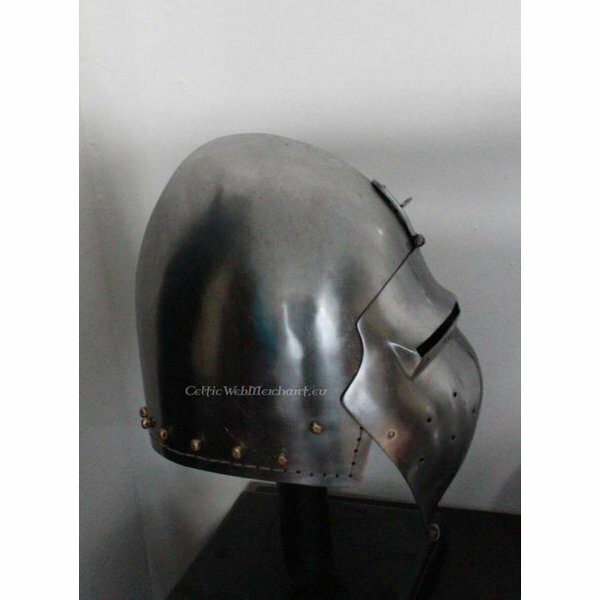 The helmet has a leather inlay for wearing comfort. 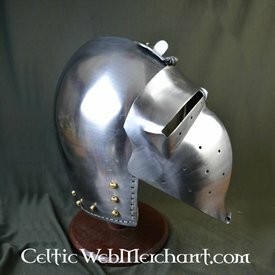 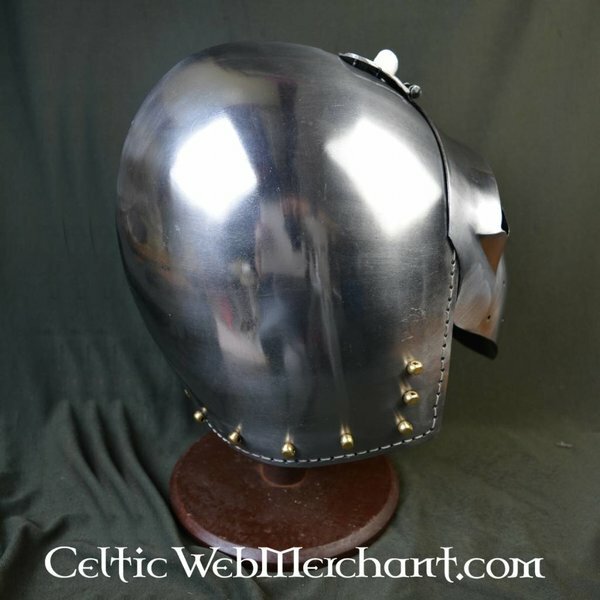 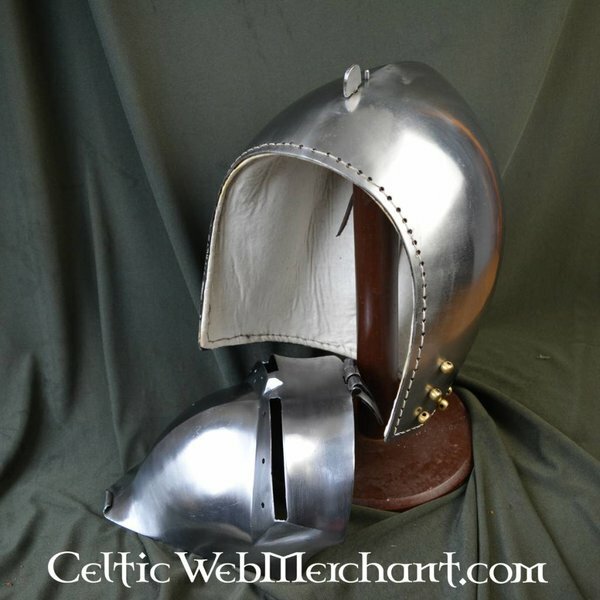 The bascinet is available in the sizes S, M or L, with or without a helmet stand and with or without an arming cap. 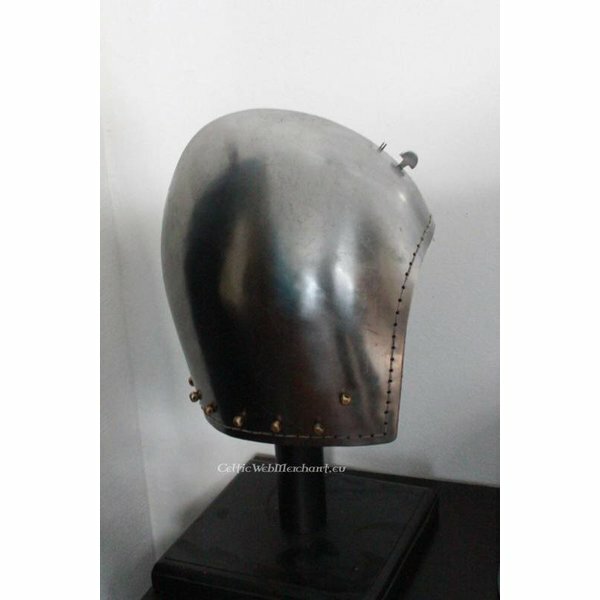 Size S is suitable for a head circumference up to 59 cm, size M is suitable for a head circumference up to 61 cm, size L is suitable for a head circumference up to 64 cm.